According to HSHA, around one in five occupational fatalities occur in the construction industry. The most common four fatal injuries include electrocutions, falls, being struck by an object, and being caught in or between heavy objects. You should know that workers’ comp laws may limit the amount employees recover for the injuries they sustain on the job, and electrocution accidents are not exempt. That is why you should contact your electrocution injury lawyer from Maryland to file your claim and with the help of electrical expert witnesses you can prove that the compensation you are asking is reasonable. OSHA (the Occupational Safety and Health Administration) regulations for electrical safety consider the standards of a safe work environment, including the high voltage sources present on the construction site. Some private organizations can also pass their own safety regulations, but any violations to the OSHA published standards can be used as evidence in personal injury cases. These regulations offer specific requirements and safety procedures depending on the amount of voltage involved and the distance from the ground. These regulations also provide the correct procedures for working in the proximity of overhead wires. You can ask your electrocution injury attorney from Maryland to determine if your or your loved one’s employer has respected the safety procedures and if they are at fault for the electrical accident. 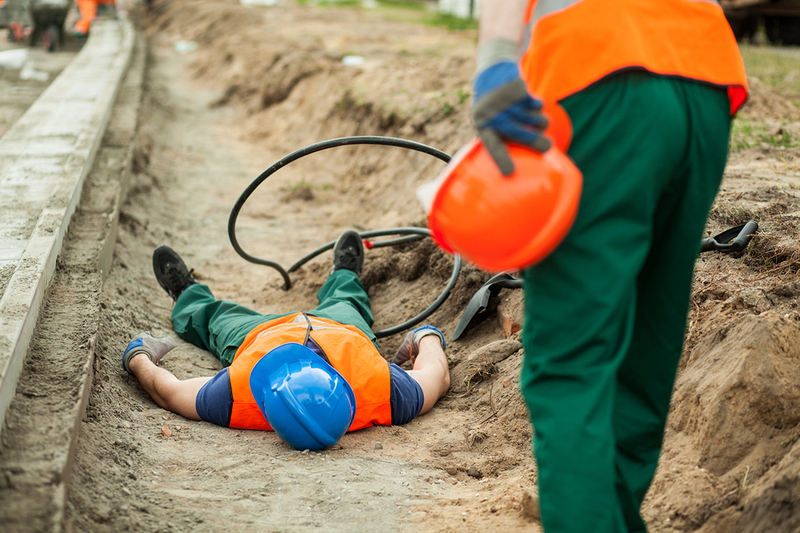 A big part of the accidents that happen in the construction industry are caused by electricity and most of the injuries resulted from these accidents fall under the workers’ compensation rules. In some cases, the liability may fall on a third party, such as the property owner or a product manufacturer (if the equipment malfunctions). Duty of care. In order for your electrocution injury attorney from Maryland to prevail in the lawsuit, they will have to show that the defendant has the duty to provide a safe work environment for the construction worker. Not every person/entity involved in the construction project is bound by this duty. With the help of an electrical expert witness from Maryland you can determine who is liable for the electrocution accident. Breach of duty. This refers to the failure of providing the worker proper safety. Any violations to the OSHA rules will be considered a breach of duty of care. Even if the construction company has some regulations that are contradictory to the OSHA rules, the OSHA regulations are primary. The breach caused harm. The construction worker had to suffer some type of loss because of electrical injuries. You should be careful because the symptoms of an electric injury may manifest themselves after days, weeks or months after the accident in Maryland.